Can 'Five feet of fury' overcome the 'Irresistible Force'? Nia Jax and Alexa Bliss were the best of friends and gave us friendship goals as 'Team Rude' until Alexa took a jibe at 'The Irresistible Force' backstage before a Raw interview in March, breaking their beautiful friendship into pieces. Only Sportskeeda gives you the latest Wrestling News, rumours and updates. Ever since then, the pair have been locking horns at different pay-per-views - including WrestleMania. Nia has been on a roll ever since she and Bliss parted ways, as she won the Raw Women's Championship against her former best friend before successfully retaining it at Backlash. However, this didn't last long because after Alexa won the Money in the Bank contract, she cashed it in the same night during Nia's encounter with Ronda Rousey - thus becoming the WWE Raw Women's Champion for the third time in her career to date. The night after the MITB pay-per-view, Rousey snapped at Alexa for ruining her opportunity to win gold before beating general manager Kurt Angle along with several officials. This led to her 30-day suspension. In the interim, Nia invoked her rematch clause and will face Alexa in an Extreme Rules match at the upcoming show. The "Baddest Woman on the Planet" will be ringside to witness the action first-hand, but will she also interfere at some stage? Well, chances are that she might and should, because not only will it add more fuel to the ongoing feud, but also set up a good match ahead of the biggest party of the summer. If Alexa goes ringside and we see a staredown between them, Nia could potentially try to attack Bliss from behind but end up hitting Ronda in the process. 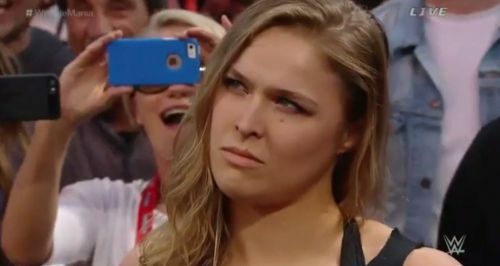 This act will, naturally, initiate a retaliation from Rousey and officials will ask her to leave or return to her seat. 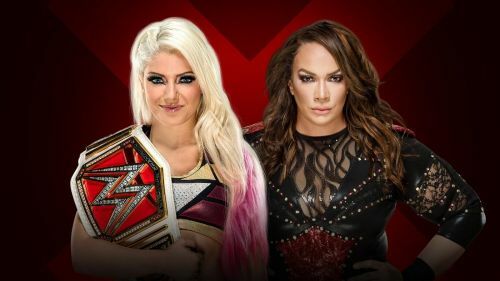 In the process, Alexa could then apply a perfectly-legal cheap shot on Nia behind the official's back and win the match, however, this attack on Ronda would add further depth to their storyline and we could see the makings of a triple-threat match for the Championship at SummerSlam.